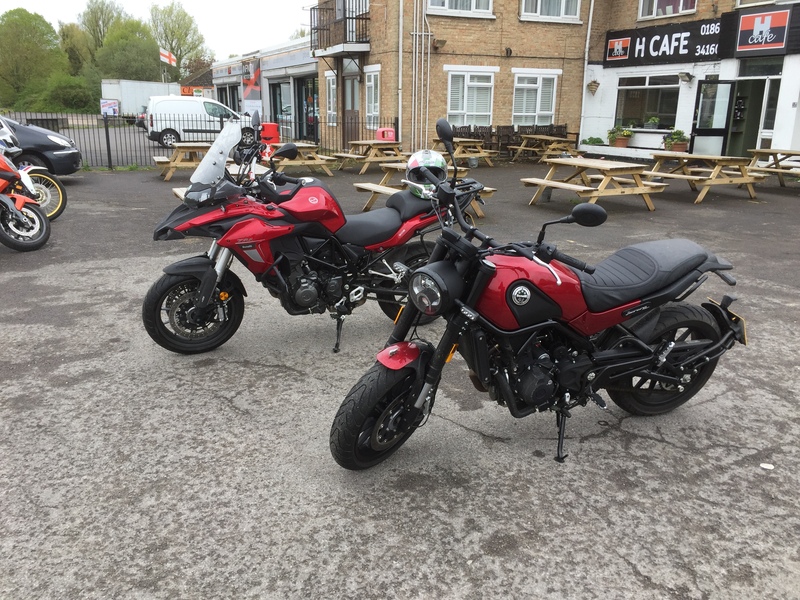 We were very kindly loaned the above bikes to road test for the Benellimotobiclubgb. They are both competitively priced around £5000.00 with a 2 year warranty. 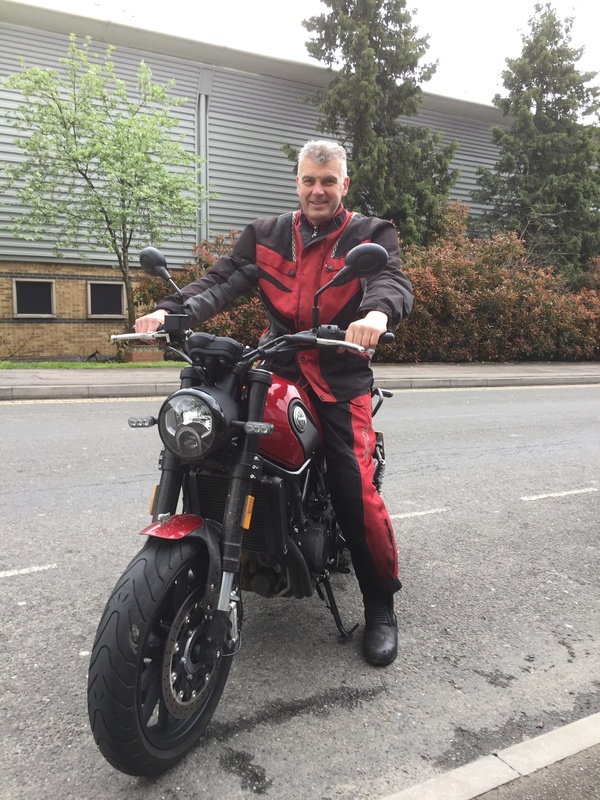 I was accompanied by fellow Benellimotobiclubgb member John Blackburn to test each bike out. I set off on the TRK 502 having never ridden a large trail type bike before. Despite my preconceived views on this type of bike my first impression was how easy it was to ride. As soon as we set off it started to rain, I found the fairing and screen offered good wind and protection from the rain. The engine only had 36 miles on the clock and was still a little tight although this improved quite quickly throughout the day. The engine is a gem it has a beautiful spread of power throughout the rev range and is coupled to a slick 6 speed gearbox. After riding this bike for an hour it made me think what a good bike this would be to to tour Europe on. It comes with luggage boxes although they were not on this bike. I found the suspension to be very good on our pot holed UK roads and the brakes had great feel to them even in the wet. I found this bike to feel very Europeon in handling and quality( it is nearly all made in China ) . There is no doubt that this bike was conceived in Italy and like quite a lot of other manufacturers made elsewhere. This bike is very reasonable priced and has a good level of equipment with it compared to rival Europeon manufacturers who’s bikes are thousands more to buy. On the road this bike is a gem through the bends and the engine only requires minimal gear changes as it very torquey and quiet revvy. The fuel injection has no flat spots and offers seamless power throughout the rev range. After a lunch stop and discussion about the bikes John and I swapped bikes, I have always wanted to try a Leoncino since I first saw a picture of it! This bike has a presence about it, the bars are wide and the riding position slightly leaned forward over the bars. 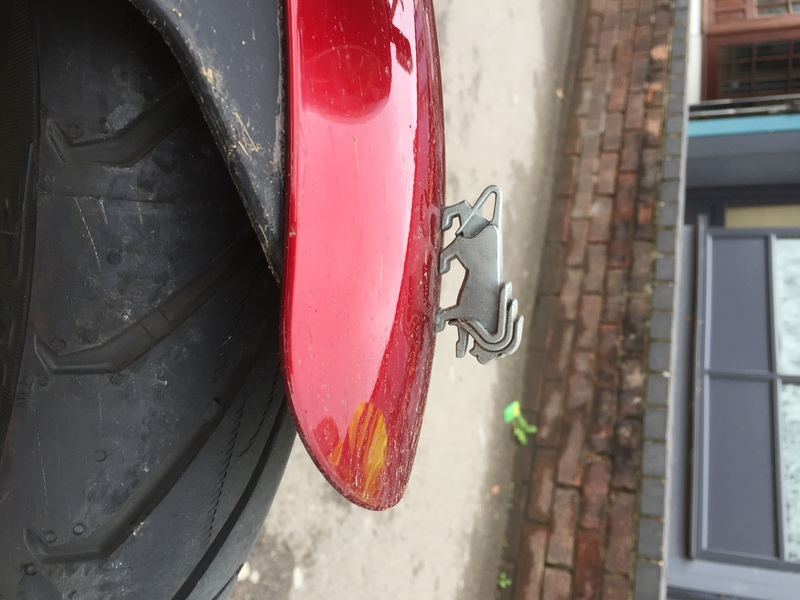 I love the detailing on this bike including the small lion on the front mudguard. The first thing I noticed about this bike was it’s engine seemed more powerful than the TRK 502. It accelerated much faster and had an exhaust note that made you want to rev it! Around Oxford town centre I found this bike very easy to ride in traffic and blip between traffic lights. This bike puts a smile on your face like the Benelli TNT 125 I tested last year At Scarborough . The throttle on the open road is infectious to use it just made me want the ride to carry on all week. On a dual carriageway way we went it the bike had a good head of speed and could easily out accelerate other road users. All I need to do now is persuade my wife that this bike would be ideal for her then steal it for my own use. In conclusion I found both bikes very easy to ride with a European feel and would say to anyone thinking of buying one to test ride it before judging it. 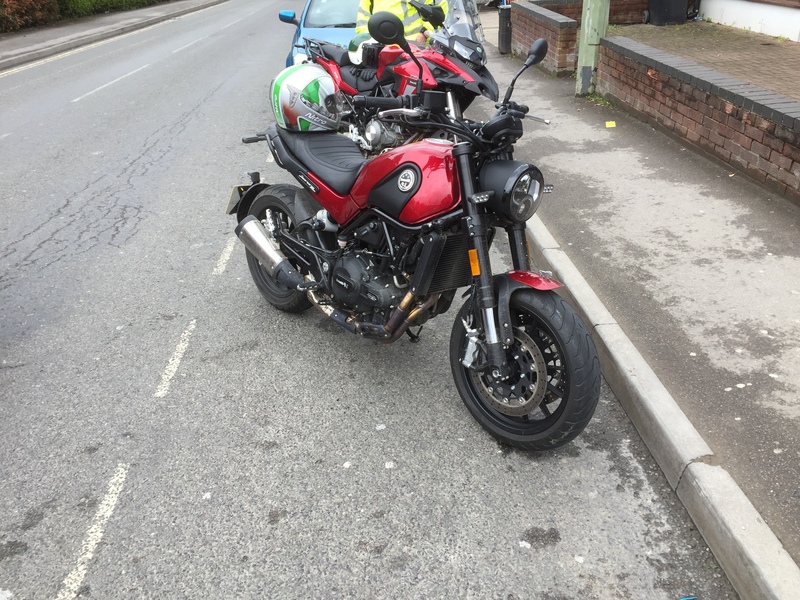 The British bike journalist in this country write off bikes that are not Superbikes. These bikes remind me of why I love riding bikes, I still feel the excitement the same as when I rode bikes in my teens it never goes away. These Benelli's only enhance the motorcycle experience which can only be a good thing. I would like to thank Matt Kay at MotoGB for loaning us the bikes and all at the the Benellimotobiclubgb for arranging the day. Last edited by R Powell; 05-25-2018 at 12:39 AM. ron d, Markfto and Pedrobu like this. Nice writeup. I have been offered a run o n a leoncino from my new local dealer. Will have to take up the offer. Thank you for all your comments, definitely give the bikes a try I think you willl be surprised by them. Benelli seem to be making bikes that put the fun back into biking including bringing a new load of young bikers on the TNT 125 ! When I first saw the Leoncino in 2017 I was initially impressed by its look or dare I say presence but I was not in the market for a new bike and if I am honest the fact that it is made in China swayed my mind. move the clock forward to a couple of months ago, I visited a CooperB's in Northamptonshire on an unrelated matter. 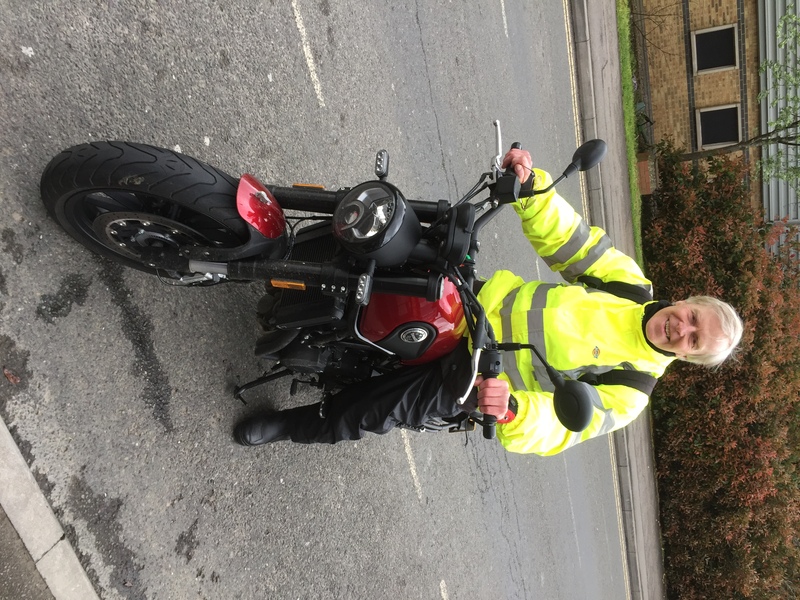 saw their Leoncino demonstrator and gave it a good inspection, could not find anything wrong with it, so took it for a test ride, I still could not find anything wrong with it and I have to agree with Richard it is what bikes should be fun, put a smile on your face fun. in fact I loved it. 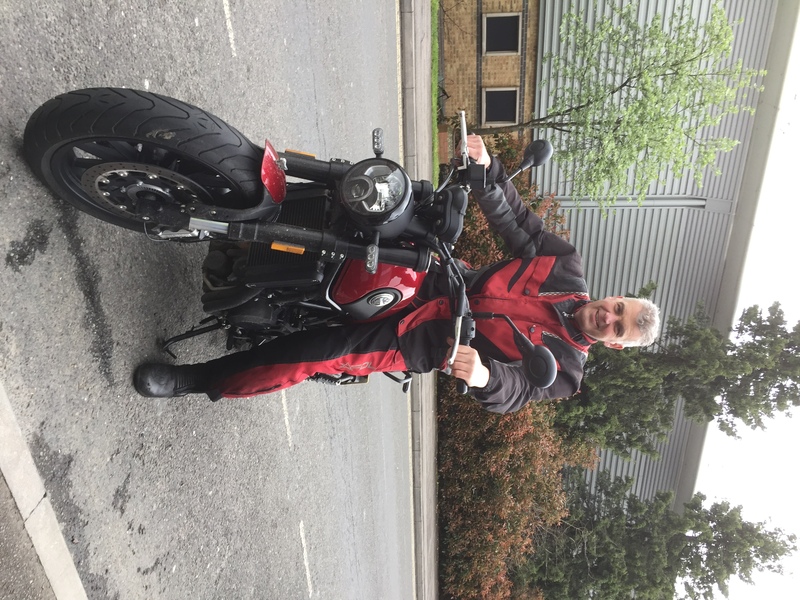 I loved it so much that I am now the proud owner of a shiny red Leoncino 500 and several hundred miles later it is still fun, still putting that silly grin on my face. R Powell, ron d and Trom100 like this. It would be good if a few new owners could add there thoughts to this thread? Its good to get real feed back from proper riders rather than magazine journalists who compare everything to sports bikes! lenni-500 and Nightrider like this. Hello i am from Greece and i want tell you my problem i have leoncino for 2 months now and i have already change a flotter and now when i am trying start engine it burns the general fuse(i think we call it fuse i am not sure for the word} anuway it seems electric problem but i get two times to the store and they can not find the problem sometimes work and other times not.I like the leoncino but i tired with problems and maybe sell it.I bought a new moto and it is not nice a new moto have problems.I told you my problems becouse i want you know .If somebody have problems with this bike now or later tell me please. Sorry to hear you have electrical problems, it’s unfortunate that half the mechanics in the world are not experienced in rectifying electrical faults. You might have to insist they get a auto electrical engineer in to look at your bike. 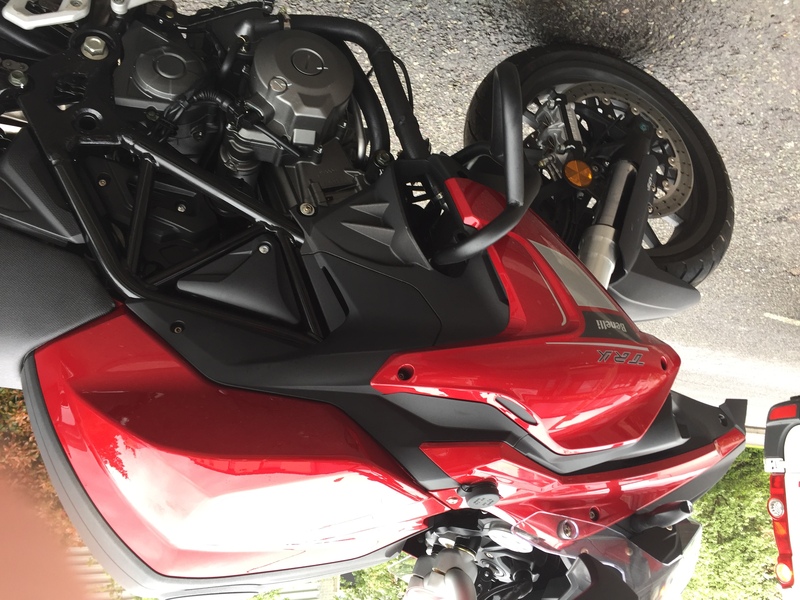 I've now over 2000 miles on mine now and I have to say "this is a great little bike" its not missed a beat yet and starts easily enough.Performance wise ,I would say its on par with the average car but with far greater acceleration. It gets up to 100mph with not a lot of effort and I guess it do about 110 mph. I use mine for mundane use ,commuting going to the chippy ect...and for this its very competent. It's easy to ride on the open road and in town,where it slices through traffic easily. Although the wide handlebars can catch car mirrors. 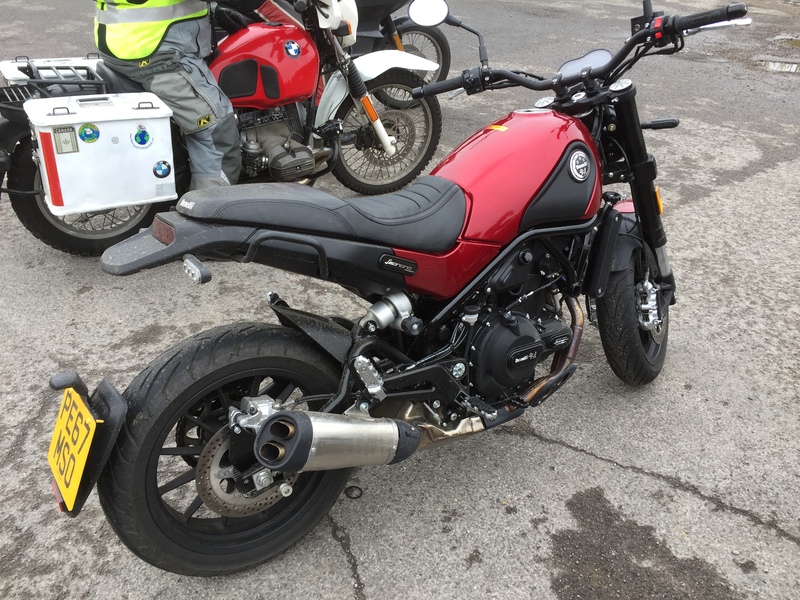 70 mph cruising is easy and this bike feels quite sporty and has a nice exhaust note that encourages you to rev it.Suspension feels a bit harsh but I ride with the pre load all the. way up. I'm sixteen stone on the plus side it handles like its on rails and makes me smile. I find the seat a bit stiff and wouldn't want to more than say 50 miles without a break. The bike looks great,mines in black and gets admiring looks at the bike night. If you want a uncomplicated bike,like we all used to ride,in a jeans and leather jacket kind of way,this could be the bike for you. ron d and R Powell like this. 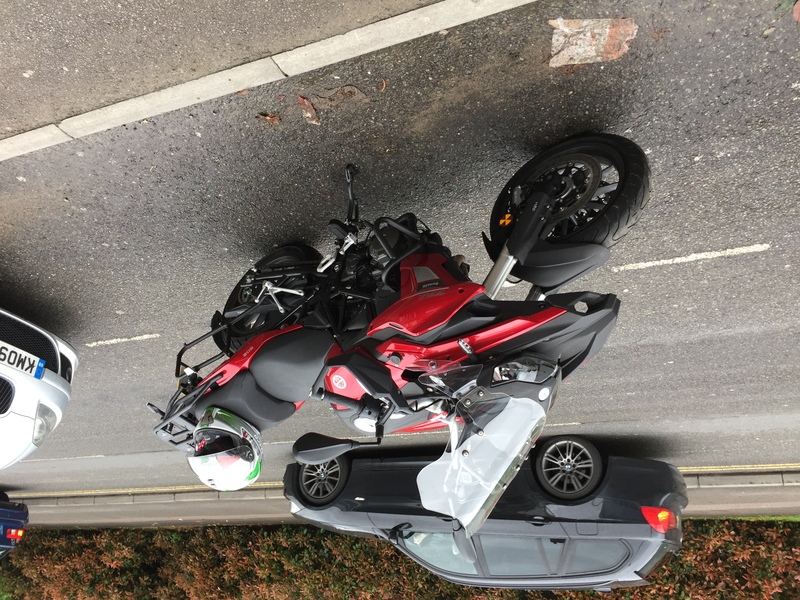 Like Nightrider I have done over 2000 miles on my Leoncino and excepting the issue with the fuel sender (hopefully now fixed) it has been brilliant. I have used mine for commuting, weekend trips and took part in the National Road Rally. I found that some of the suspensions harshness was down to the dampers settings which were wound all the way in when I got it, I now have both the front and rear dampers set about halfway which is possibly a little too boncy but we will see. I also find the bars a bit on the wide side and find the seat OK for 30 mins to an hour any more and i find I need to keep standing up on the pegs to get some relieve. Nightrider and R Powell like this.